When you purchase a Magic Jack, allowing you to make and receive VoIP phone calls, you can choose a telephone number from almost any area code. One state attorney general says that feature is being exploited by scammers who want to hide their location. Mississippi Attorney General Jim Hood says his office has received reports of a scam that combines the long-existing “emergency” and “phone spoofing” scams. In the emergency scam, the caller leads you to believe that there is some existing emergency that requires you to immediately wire money to handle it. Phone spoofing disguises the number from which you are actually receiving a phone call. As it turned out in the Madison case, there was no warrant and the phone number taken from the couple’s caller ID was registered to Ymax Communication, also known as Magic Jack, a legitimate Internet based phone business. Hood said the con-artist was using Magic Jack to conceal the fact that he was actually calling from India. When contacted by the Mississippi Attorney General’s Office, Magic Jack officials immediately responded to requests for more information, helped verify the scam, disconnected the phone number and marked it with fraudulent behavior in the company’s system. If someone mentions there is a warrant out for your arrest, verify by contacting your local law enforcement agency or the alleged law enforcement agency to confirm. Do not depend on caller ID to confirm the caller’s information. Know that law enforcement agencies do not accept wired money, only cash and bonds. Never wire money to anyone who is alleging arrest, warrants or the like. 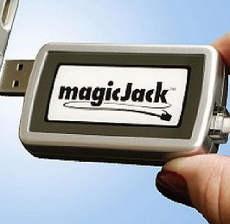 Did magicJack turn out to be not so magical?